Monday, Jun. 03, 2002 – 11:26 p.m.
Gee, has it been almost a whole week? Saturday was University down in Florence and since I was teaching my rose class first thing in the morning, I spent much of last week preparing for it. I had said that I needed to add some details to the notes so it was back to the books to find the quotes I was looking for. This lead me to add some additional pictures to the handout for the class. One of the quotes referenced a renaissance painter named Bronzino (1503-1572). It is the contention of one author (C.C. Hurst) that the flower in the painting Venus, Cupide, and the Time(Allegory of Lust) that Cupid is holding a pink China rose. However, there is only one other reference to such a flower being brought to Europe from East Asia until the 18th Century. 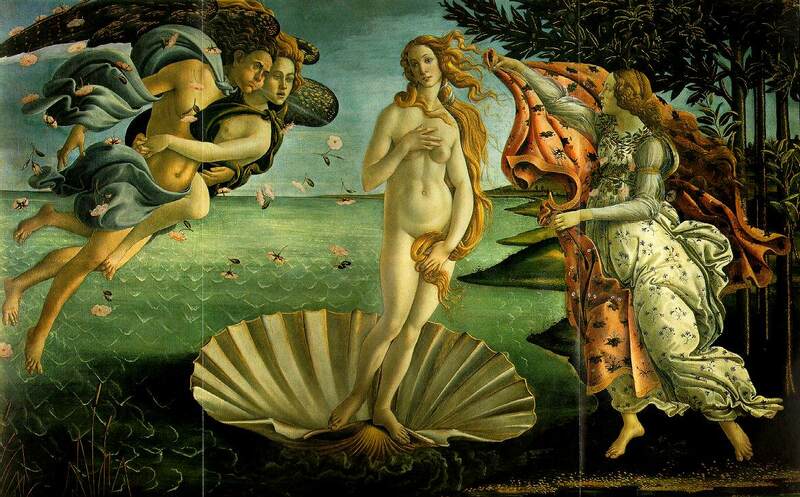 It seems unlikely that such a flower would go undocumented for two hundred years… but that is a different story… Back to the handout: I found two additional references to roses in paintings including Botticelli’s Birth of Venus. Well, it’s a start of another class…. I also made a double batch of MORCs (Manus’s Oatmeal Raisin Cookies)for the hospitality table for Francesca taking Lady Caroline as her apprentice. A very nice ceremony and I got a bunch of pictures. Both Her Majesty Queen Isabel and Her Highness Princess Padraigin were there as witnesses. We had plenty of food and all seemed to have a nice time. The temp was a little on the warm side but at least it wasn’t raining. As for the class itself, I had a pretty good group. There were about 10 folk in the class and I got some good questions at the end. there was not as much time at the end for Q&A but that was my fault since I delayed starting for about 10 minutes so that people who were late could join us. The hazard of being the first class of the day…. I will probably teach the class again in the fall since I should still have good roses blossoms at that time (and it is local…. Maybe I will make it a field trip course… hmmmm). The February session would probably be better for a class like references to roses in period or Rose Uses in Period, where I would not need actual rose blooms. Back to the roses themselves…. I must confess I did not have as good a selection of roses for the class as I had hoped. No Peace, Francis Dubreuil, or Scentimental and only one nice bloom from Queen Elizabeth. There were several nice Cesar Chavez, Fragrant Cloud, and Voodoo. Part of the problem was that there had been a thunderstorm Thursday night and it knocked some of the blooms off. I did manage to get spraying done on Wednesday morning using Orthonex. Also on Wednesday, I got the shipment from Bridges Roses. I had ordered two more Kitty Hawks, a Black Jade (dark red miniature), and Gentlemen’s Agreement (another red but a larger plant). I need to get these into real pots. The stoop by the kitchen door is getting overrun.